I was super excited when a bunch of Sukin products arrived at my desk, as I hadn't tried Sukin before despite seeing it everywhere. 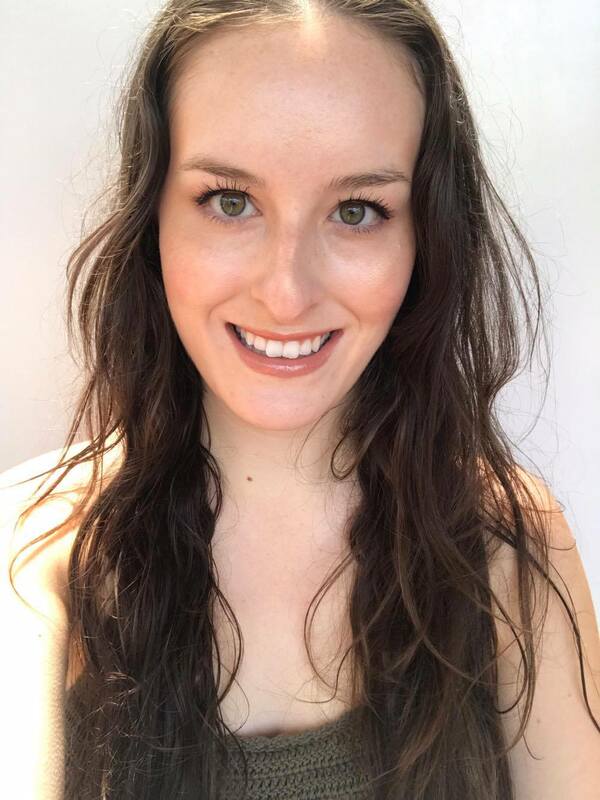 Today I am sharing my thoughts on some Sukin products I have been loving and think will be perfect for this summer! 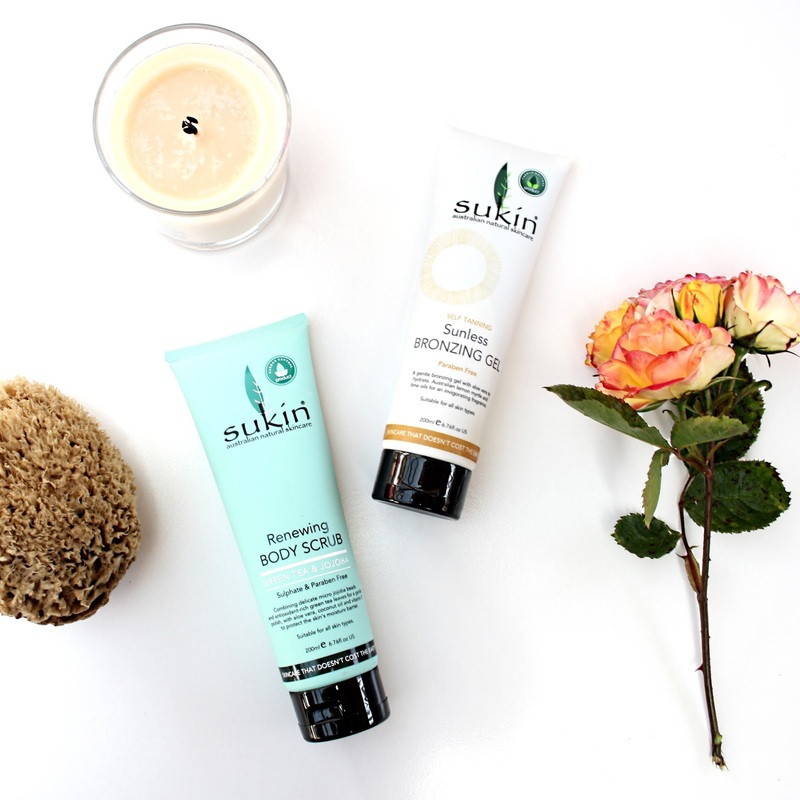 Sukin was launched in 2007 by a Melbourne based family on a mission to provide high quality, affordable and effective natural skin and hair care. Sukin is now Australia’s best selling natural skin care brand, with a portfolio of lines extending over more than 60 products across face, body and hair, and continuing to grow year on year. They continue to be Australian made and owned, and free of harsh chemicals including sodium lauryl sulphate, sodium laureth sulphate, synthetic fragrances, animal derivatives, harsh detergents, propylene glycol, artificial colours, triethanolamine, mineral oils, EDTA and parabens. A gentle body exfoliant containing micro Jojoba beads, Green tea leaves and ground Walnut shells to delicately polish the surface of the skin. Additional Jojoba oil, Coconut oil and Aloe Vera assist the skin in maintaining moisture levels whilst exfoliating, improving elasticity and collagen for smooth and hydrated skin. Green tea extract, Rose Hip oil and Vitamin E impart a blend of antioxidants and essential fatty acids, vital for skin nourishment and maintaining a healthy, glowing complexion. Paraben Free. This body scrub is so creamy and hydrating, and keeps my dry skin happy while still effectively exfoliating. This scrub contains jojoba beads, green tea leaves and ground walnut shells to renew the skin, and I find them to exfoliate well without being harsh on the skin. This will probably not remove fake tan, as I find harsher, grainier scrubs to only work for that, but it contains enough scrub to work for non-tan users. This has a beautiful light scent and has rinses well, leaving no residue but only fresh, moisturised skin. This bronzing gel is perfect for those that are seeking a light, natural tan, and need it NOW. It gives instant colour, but also contains DHA which will develop on your skin as the day progresses. This does not have that awful, strong fake tan scent, and smells instead of Lemon/Lime. It is such a natural colour on the skin and doesn't leave you looking like an oompa-loompa. I was also sent some products from Sukin's Sensitive Range. Skin conditions such as eczema, psoriasis, rosacea and dermatitis can make skin unpredictable and these conditions can often be exacerbated by the use of harsh cleansing agents and additives leading to breakouts and irritations. Created specifically for fragile skin, Sukin's gentle cleansing and moisturising essentials boast carefully selected actives of Chamomile, Aloe Vera and Cucumber. The result? Calm, soothed and balanced skin. Shea butter and Aloe Vera with Rose Hip, Sesame and Jojoba oils to promote moisture and balance the skin. This light and gentle moisturiser, boasts Shea butter and Aloe Vera to calm and soothe the complexion. Rapidly absorbed to deliver essential hydration to delicate skin, whilst Rose Hip, Sesame and Jojoba oils help promote optimal moisture levels for radiant, balanced skin. Suitable for normal to sensitive skin types. I love this moisturiser as it doesn't have much of a scent, and I can't stand really strong smelling facial moisturisers lately. It leaves my skin hydrated and plump, and is enough moisture for my extra dry skin in the warmer weather on its own. I have sensitive skin and find the Sukin sensitive range is perfect for my skin. This moisturiser is the perfect summer moisturiser, topped with a sunscreen of course! The best in soothing actives are blended with Green tea to gently cleanse and refresh delicate skin. This non-drying, soap free body cleanser is enriched with soothing Aloe Vera, Cucumber and calming Chamomile, to leave skin clean, soothed and balanced. Suitable for normal to sensitive skin types. This body wash is a great, basic, non-stripping option the whole family and use and enjoy! It is perfect for the most sensitive skin and produces a decent foam, without the harsh soaps. It has no identifiable scent to it, which is great for my sometimes sensitive nose. Basically if you are looking for a no-fuss body cleanser that performs, this is it. Enriched with Aloe Vera, Cucumber and Chamomile for calm and balanced skin. A gentle body moisturiser designed to calm, soothe and balance sensitive skin. Formulated with hydrating Cocoa and Shea butters combined with soothing Aloe Vera and Chamomile and gently replenishing cucumber. Suitable for normal to sensitive types. I generally don't find body lotions hydrating enough for my skin, and reach for cream and butters instead, so I was surprised to discover that this lotion is super hydrating but contains none of the greasiness that a butter or cream can leave on your body. I love that this lotion is unscented (to my nose anyway) as it means it won't compete with any perfume that I apply. I find I can also use this on my hands as a hand cream that quickly absorbs without greasiness or sliminess. So that's my full review on all of the Sukin products I have tried this far! If you are interested in purchasing Sukin products, head to their website to order or find a local stockist.